If you're here, I'll assume you know about Dread. If not, here's a link to Gnome Stew talking about how awesome this game is. Many thanks to Aaron Brown and the rest of the OH Nerd crew for introducing this to me. Below you'll find two scenario tool kits. disintegration is a zombie survival setting, which has been played by numerous groups all over the world. You will only need the core document, which includes pre-generated questionnaires for your players. 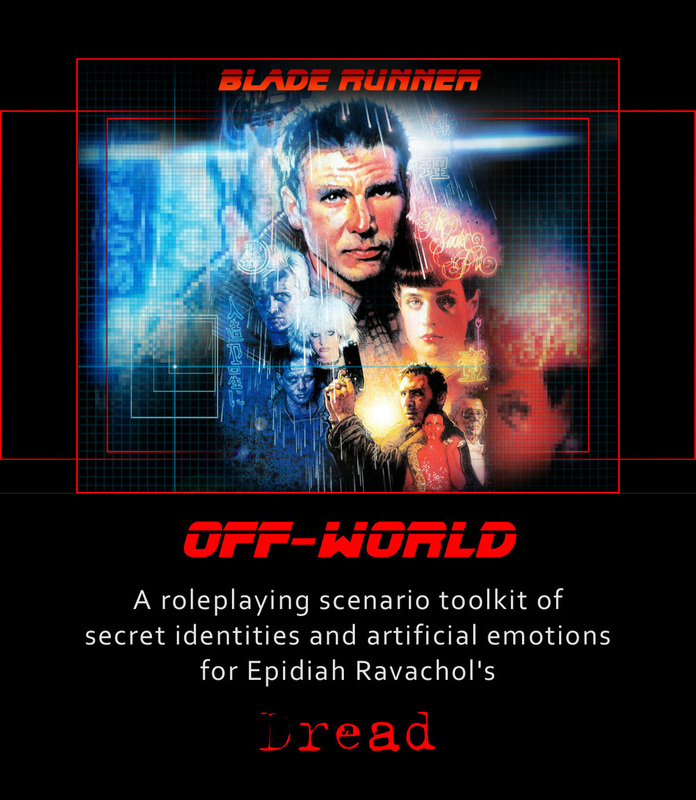 Blade Runner: Off-world is in the alpha testing phase. It deviates heavily from the core Dread rules, and has not been playtested. Please download it, and tell me what you think! You will need both the core document, and the questionnaires. Click image to download PDF (16 pages). Click to download core document PDF.